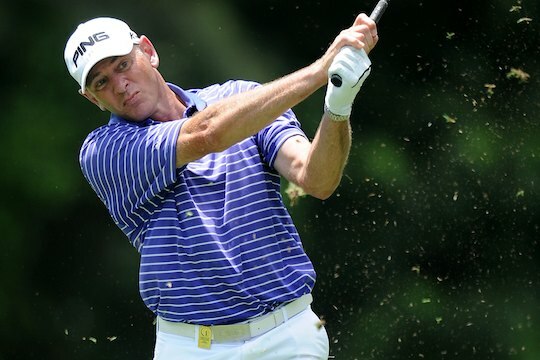 Peter Fowler is the lone Australian in the field for the Final Stage of the Champions Tour Qualifying School, to be held at TPC Eagle Trace in Coral Springs, Florida this week. Fowler is looking to join Peter Senior on the lucrative Tour after a number of successful years on the European Senior Tour. Other high profile names who have turned 50 or are returning for another crack at full exemption include Anders Forsbrand from Sweden, England’s Barry Lane, former player turned commentator Bobby Clampett, former player turned caddie Lance Ten Broeck and the big hitting Argentinian Eduardo ‘El Gato’ Romero. Many Australian fans will also remember names like Patrick Burke, who won the Australian Tournament Players Championship and Victorian Open in 1994, Miguel Martin, who defeated Fred Couples to win the Heineken Classic at The Vines in 1997and Robin Byrd, a regular in Australian tournaments over a number of years. Zach Johnson’s current caddie, Damon Green, is another prominent entrant with the bagman having made some impressive appearances after qualifying for a number of Champions Tour majors in the last few years. The top five finishers at TPC Eagle Trace will earn full status on the Champions Tour in 2013. Can Senior break his Champions Tour duck?